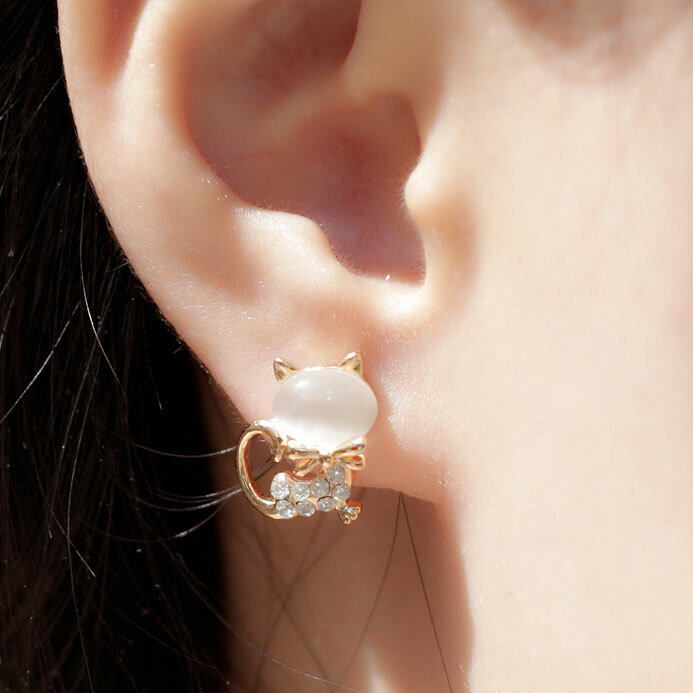 This cat Opal Rhinestone Earrings is a very Adorable earring. Cat is very Lovley animal. When you wear this earring. you will become more Adorable and Lovley. The opal and rhinestone is the high quality. The cat earring is Anti-fade and Allergy. You will love it so bad. It also a perfect gift for her!